A4 Brass Quartet is comprised of principal players from two of the UK’s top brass bands, Grimethorpe Colliery Band and Foden’s. 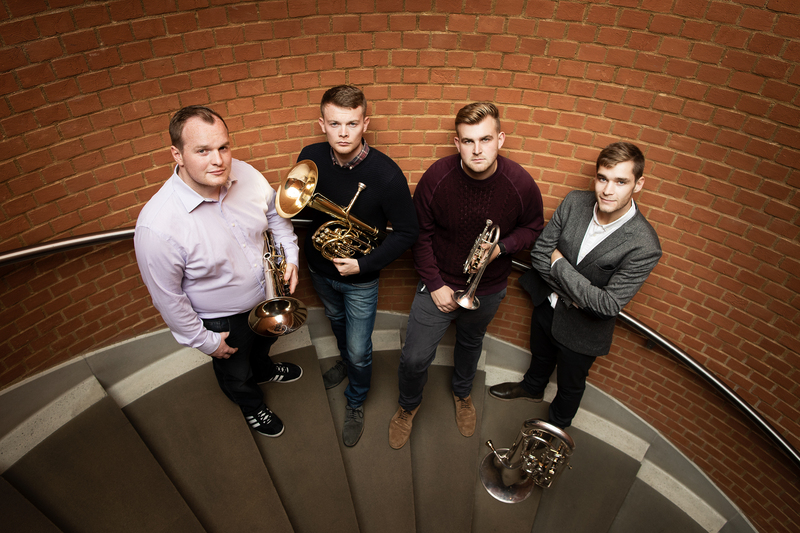 With “technical virtuosity in abundance” (Brass Band World), these four astonishing musicians come together to perform both lyrical and high-octane works, creating a distinctive and new take on chamber music. 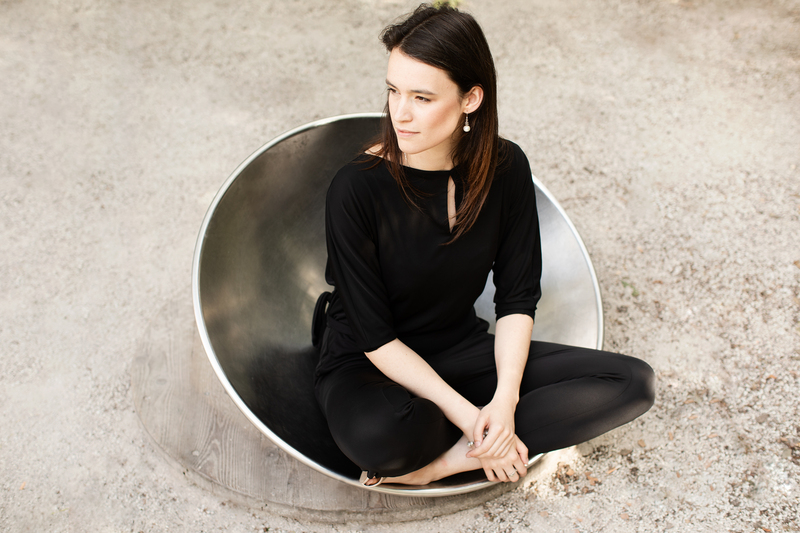 Hailed as a “rather special mezzo” (MusicWeb International), Helen Charlston’s warm and distinctive tone has cemented her as a key performer in the next generation of British singers. She received first prize in the 2018 Handel Singing Competition and she will make her debut with the Royal Liverpool Philharmonic in the upcoming season. 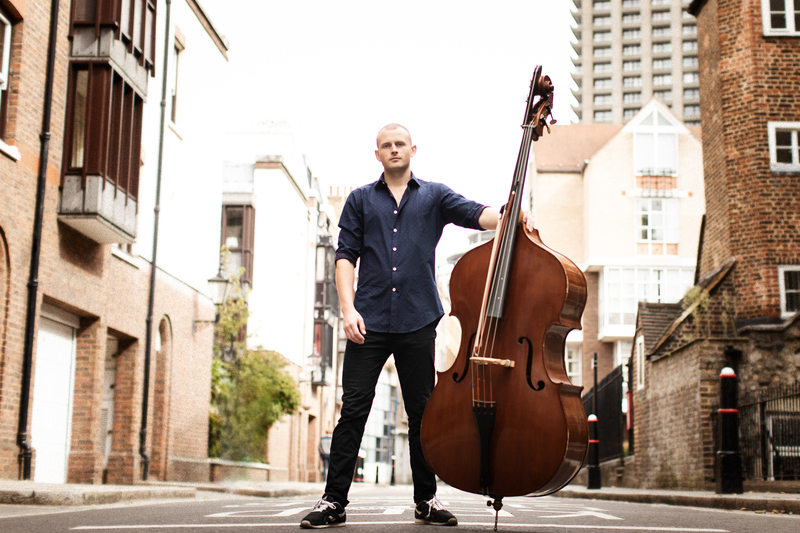 Toby Hughes is one of the UK’s leading double bass soloists. A true virtuoso, Toby has exceeded the perceived limitations of his instrument by being the first double bassist to win the Bromsgrove International Music Competition. He has performed recitals in venues such as Wigmore Hall, Edinburgh International Festival, Queen Elizabeth Hall, and St Martin in the Fields. 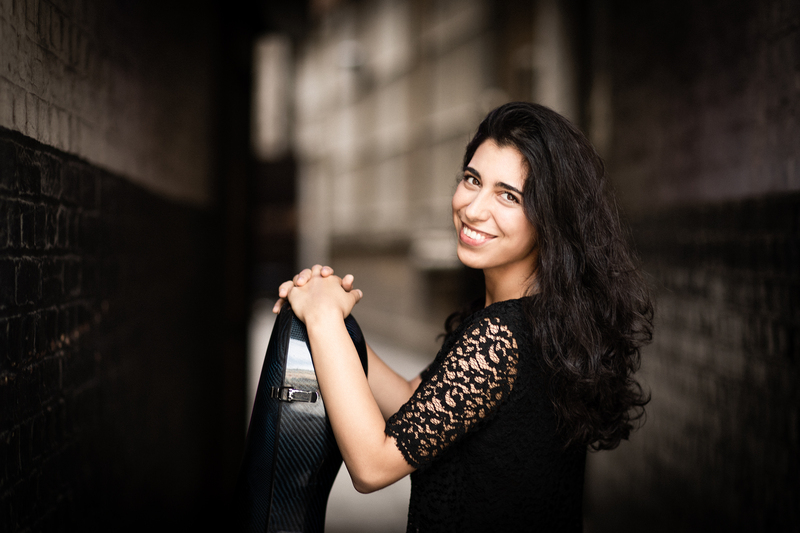 British cellist Ariana Kashefi has a wealth of experience performing solo and chamber music in venues including the Royal Albert Hall, Wigmore Hall, and Pierre Boulez Saal. Ariana is a recipient of the Royal Philharmonic Society’s Julius Isserlis Scholarship and frequently performs as a soloist with orchestras. This season includes concertos with the Narva Symphony Orchestra (Estonia), North London Symphony Orchestra, and the Janus Ensemble. 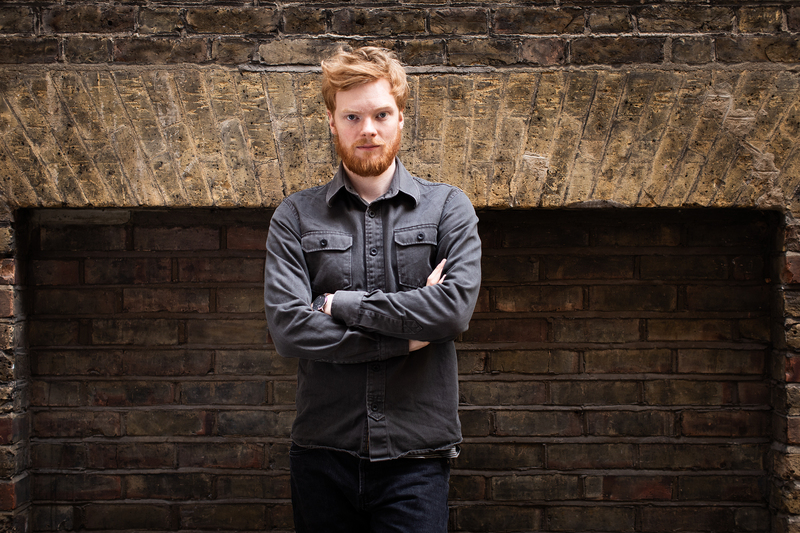 Tom Millar is a London-based pianist, composer, and bandleader. 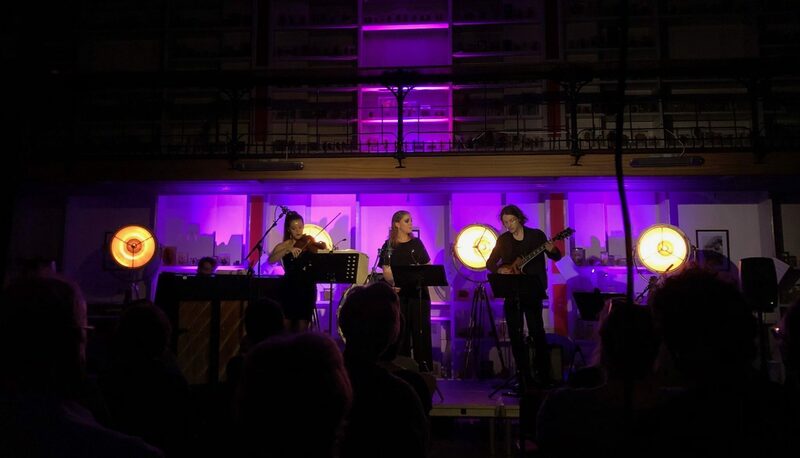 With his own quartet, he has performed at venues such as Wigmore Hall, Pizza Express Jazz Club (Soho), Vortex, 606 Club, KKL Lucerne, and the Paul Klee Centre (Switzerland), as well as at the London Jazz Festival. His debut album, Unnatural Events, was launched in 2017. 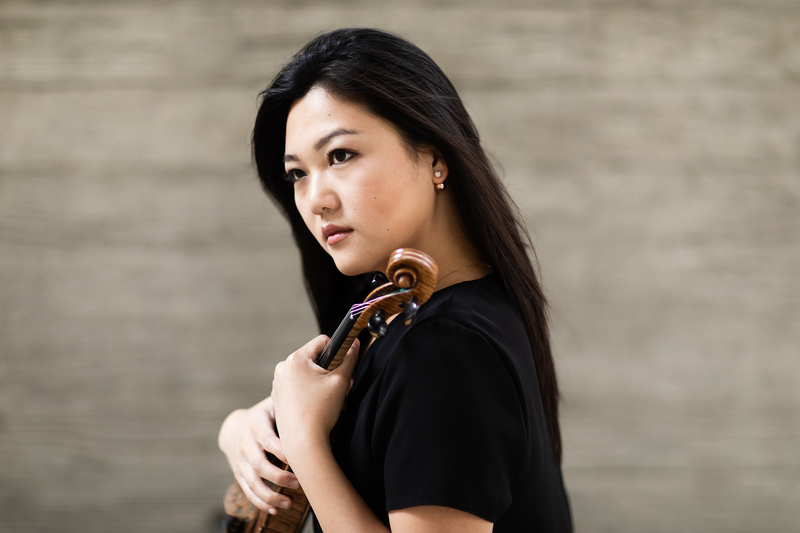 Equally at home in recital and in front of an orchestra, Australian violinist Emily Sun was the winner of the 2018 ABC Young Performers Award, which will see her perform concertos with the Melbourne, Sydney, and Adelaide Symphony Orchestras in the coming seasons. Performance highlights include performance of Bach’s Double Violin Concerto with Maxim Vengerov at Buckingham Palace, as well as recitals at Tchaikovsky Great Hall Moscow, Tel Aviv Opera, Auditorium du Louvre, and Wigmore Hall.